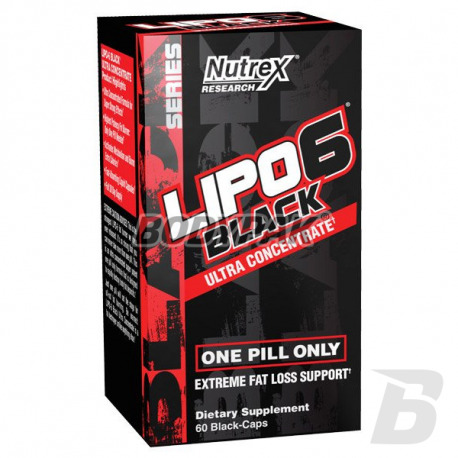 Fat LossNutrex Lipo-6 Black Ultra Concentrate - 60 kaps. 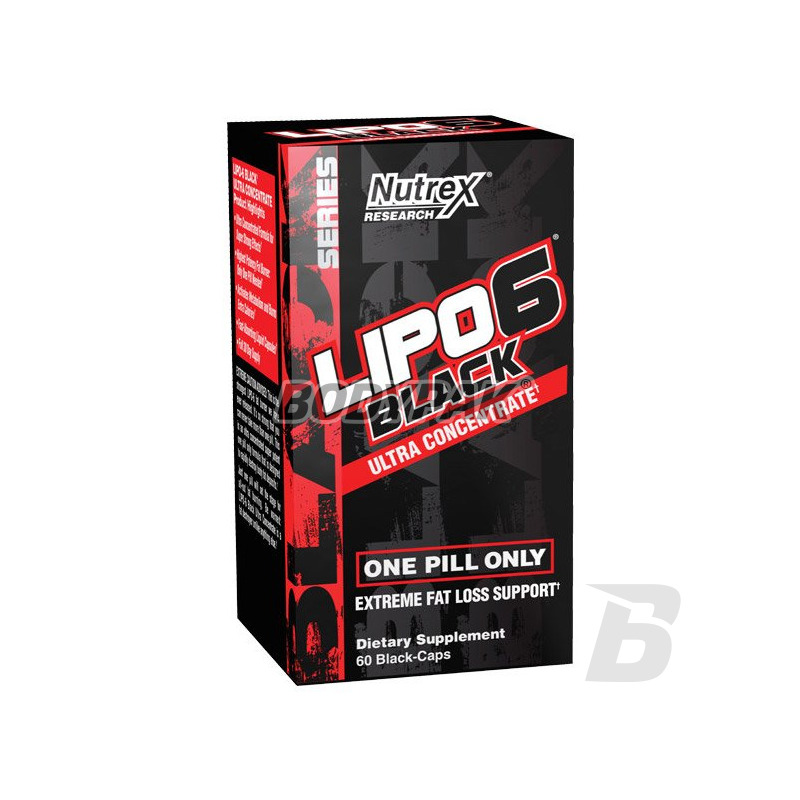 Nutrex Lipo-6 Black Ultra Concentrate - 60 kaps. The world's first single-capsule fat burner that includes the composition of the compounds purifying and re-programming adrenergic receptors and ultra concentrated fat destroying complex. Bet on the highest QUALITY! 84 loyalty points Your cart will total 84 points that can be converted into a voucher of 3,36 PLN. Lipo-6 Black Ultra Concentrate - the world's first single-capsule fat burner that includes the composition of the compounds purifying and re-programming adrenergic receptors and ultra concentrated fat destroying complex. That's why we call it "intelligent" fat burner. Regular use of products to accelerate the fat burning clog and desensyzację adrenergic receptors, thereby leading to a decrease in efficiency. LIPO-6 Black Ultra Concentrate is the first fat burner containing substances to prevent it, making it work effectively during the period of use of the supplement. Thanks to receptors are cleaned enough only 1 capsule to achieve the best results. MEGA... i właściwie w tym słowie się wszystko zamyka.